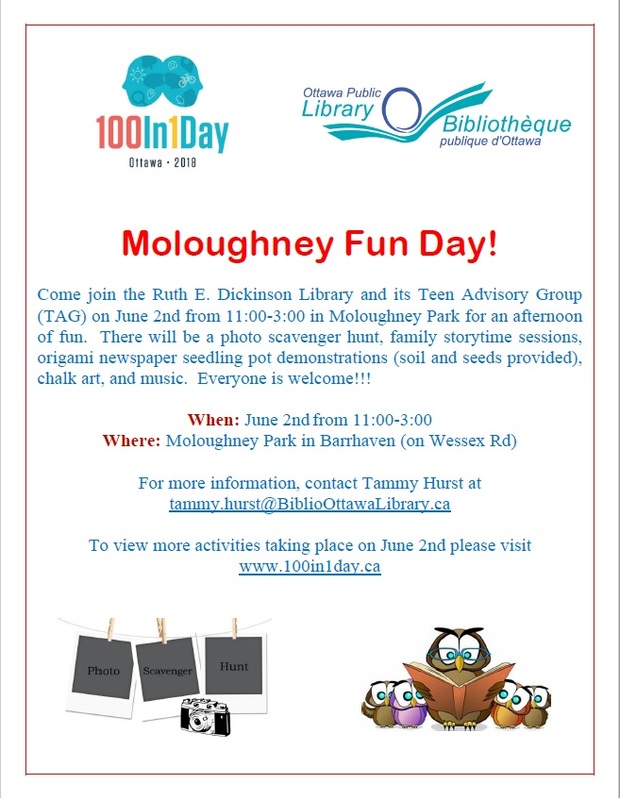 Come join the Ruth E. Dickinson Library and its Teen Advisory Group (TAG) on June 2nd from 11:00-3:00 in Moloughney Park for an afternoon of fun. There will be a photo scavenger hunt, family storytime sessions, origami newspaper seedling pot demonstrations (soil and seeds provided), chalk art, and music. Everyone is welcome!! !